Yesterday, Amelia received her two-month immunization shots. 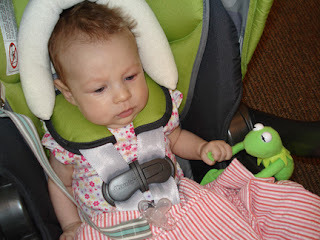 We talked all about them and how they were nothing to be afraid of on the way to the doctor and by the time we'd arrived at the office, I found her holding Kermit's hand for dear life. I guess sometimes you just need a friend to hold your hand. 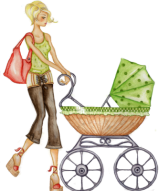 So, here you are - viewing the Super Awesome Kennedy Blog. And though we Kennedys are known for being cutting edge in every way, it's taken us quite some time to dip our toes into the blogosphere. Please to enjoy our foray onto the interweb.